Let it not be said that public broadcasting’s role in meaningfully interrogating the roots of Canadian heritage and identity is anything less than Herculean. From bringing Hockey Night in Canada into homes from St. Johns to Sandspit, to uncovering the history of our national origins, I wanted to share a few gems that could be of aid in coming to understand the meaning and historical context of Confederation, as originally shared on CBC Radio. Michael Enright, host of The Sunday Edition, in conversation about two of the more intriguing fathers of confederation. Biographer Richard Gwyn talks about Sir John A. MacDonald, Canada’s first prime minister while University of Toronto Scholar David Wilson talks about the poet of Confederation Thomas D’Arcy McGee. 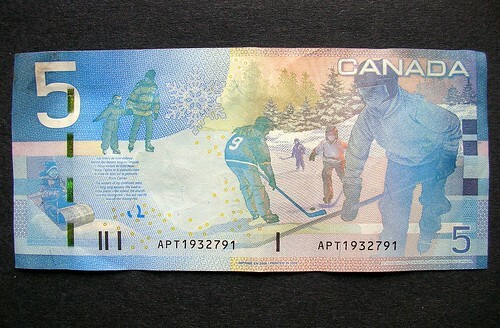 The back of our five dollar bill shows kids playing shinny on a timeless pond somewhere in Canada. But Calgary writer Bruce Dowbiggin argues that hockey is far more than simple nostalgia or big business. It’s a clear window into the complexity of modern Canada: from shifting political power and economics, to multiculturalism and what we think it means to be a Canadian in the 21st century.